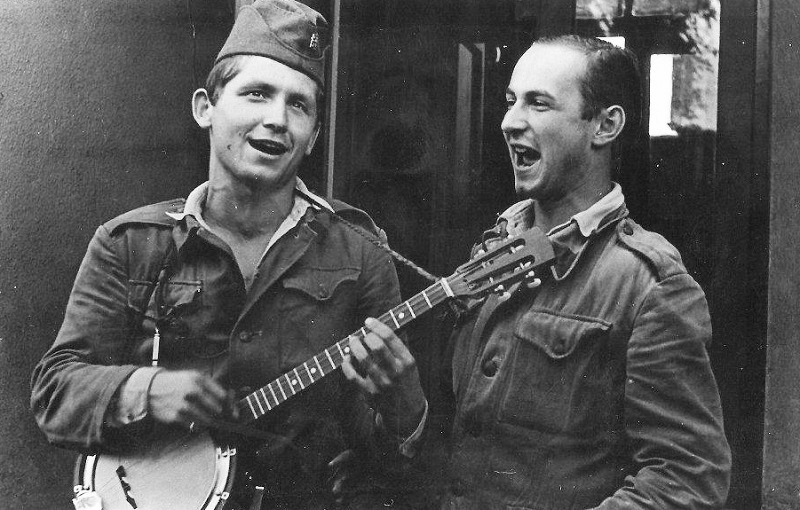 The Slovácko Verbuňk recruit dances. 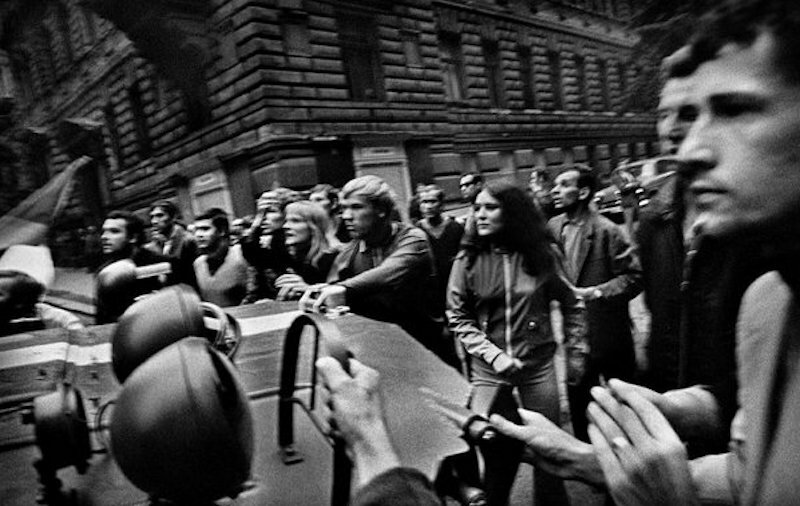 The Ride of the Kings in Vlčnov. 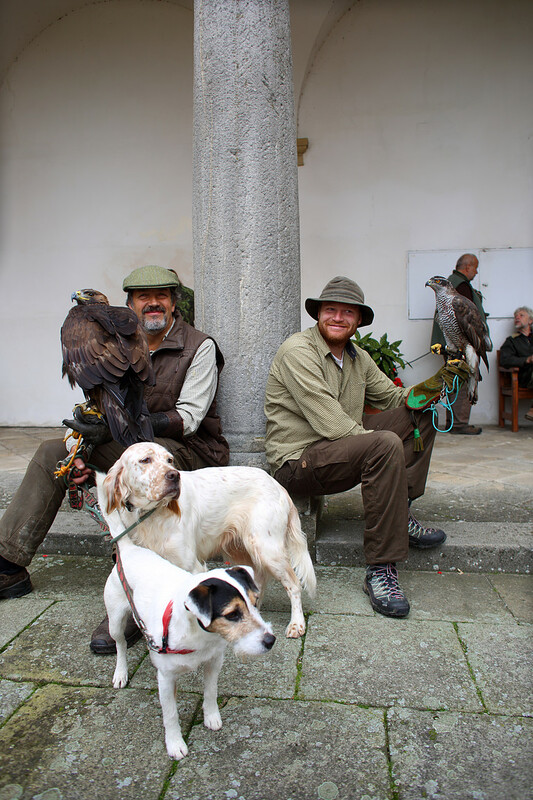 Falconry, the ancient art of hunting with the help of birds of prey. 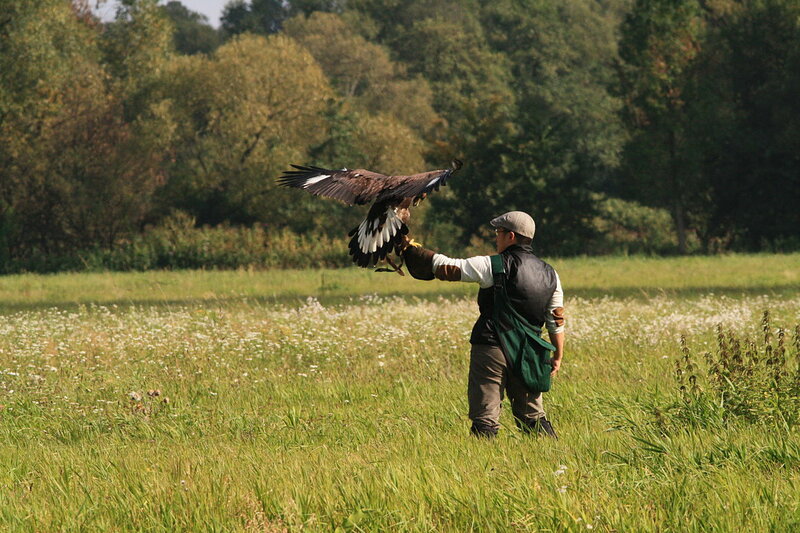 The art of hunting with birds of prey dates back several millenniums. 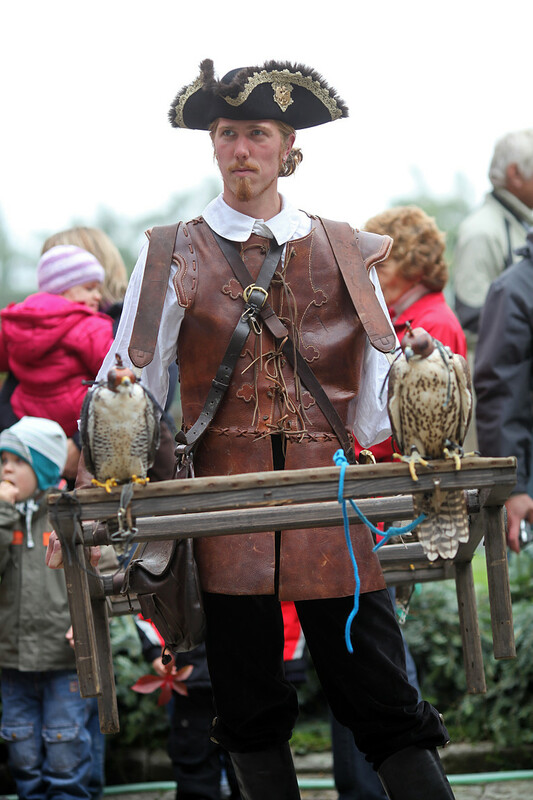 And since they can remember, Czechs have been practicing the art of falconry. 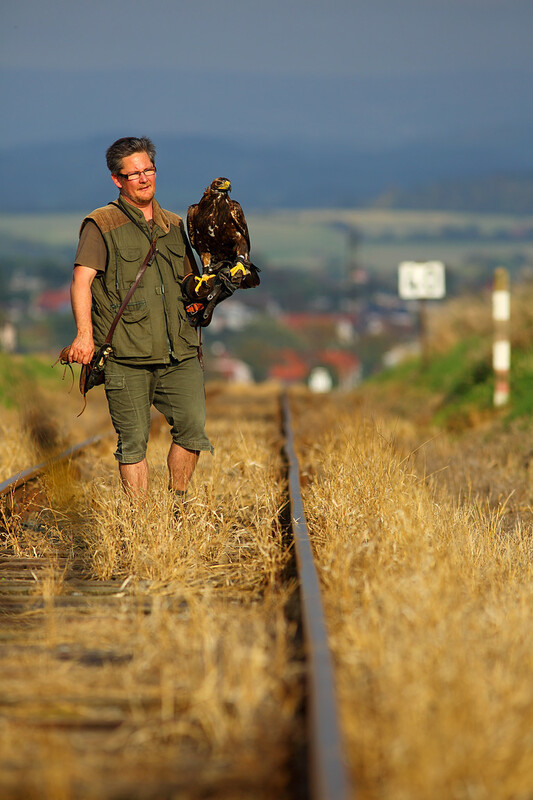 The Bohemian lands have been meeting with falconry in their territory since the 9th century. And annual celebrations ensure that this ancient art is not forgotten. 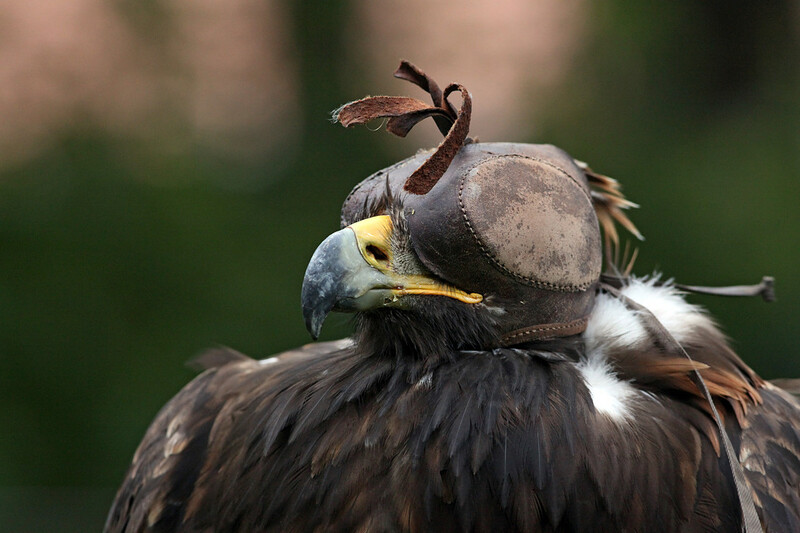 The greatest development of falconry occurred in the Middle Ages. 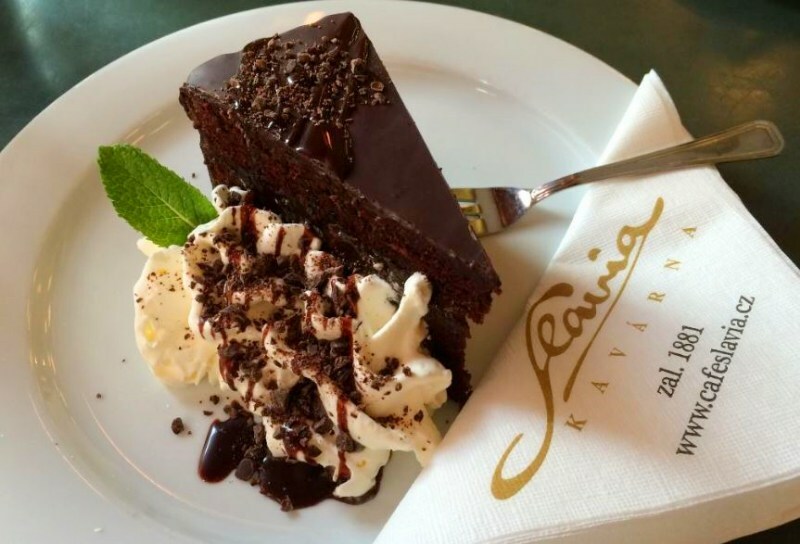 From the 13th century originates the Fridrich´s II. Latin record, De Arte Venandi Avibus, which translates to About the Art of Hunting with Birds. 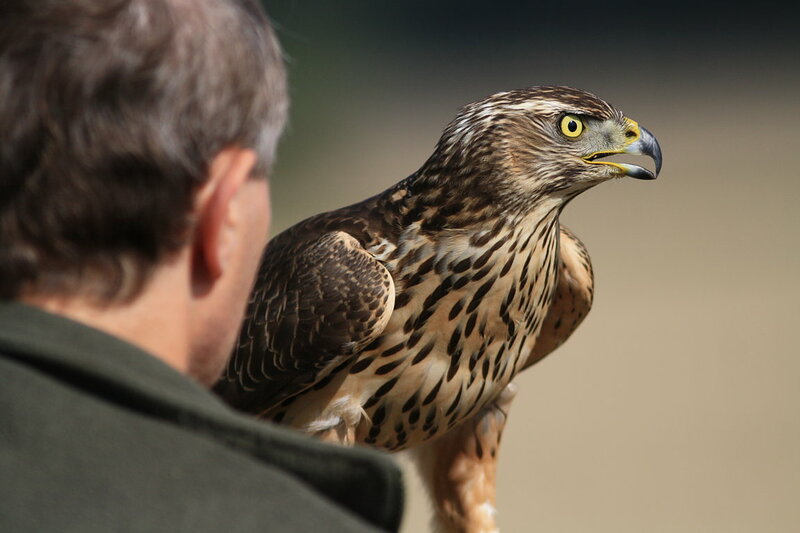 If falcony interests you, there are many opportunities where you can see for yourself what it is like when this noble creature perches on your hand. 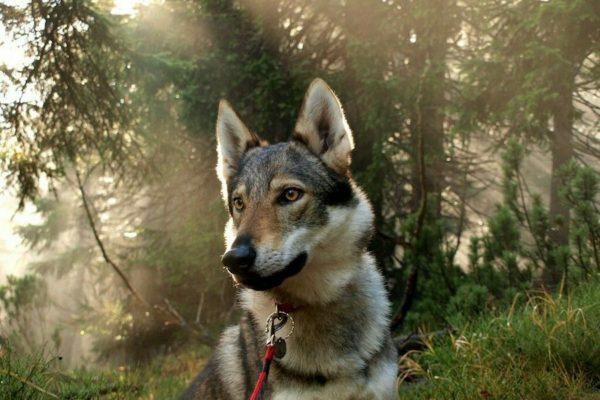 And how complicated it is to establish communication with it. 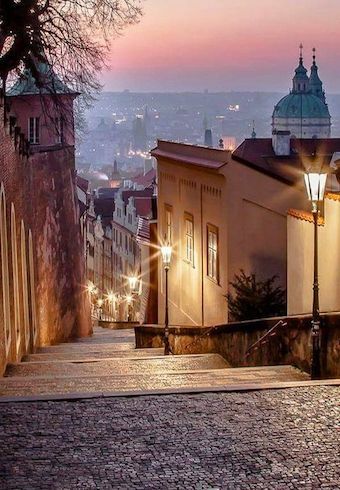 You will have many such opportunities on your travels through the Czech Republic so make sure to add this to your bucket list. 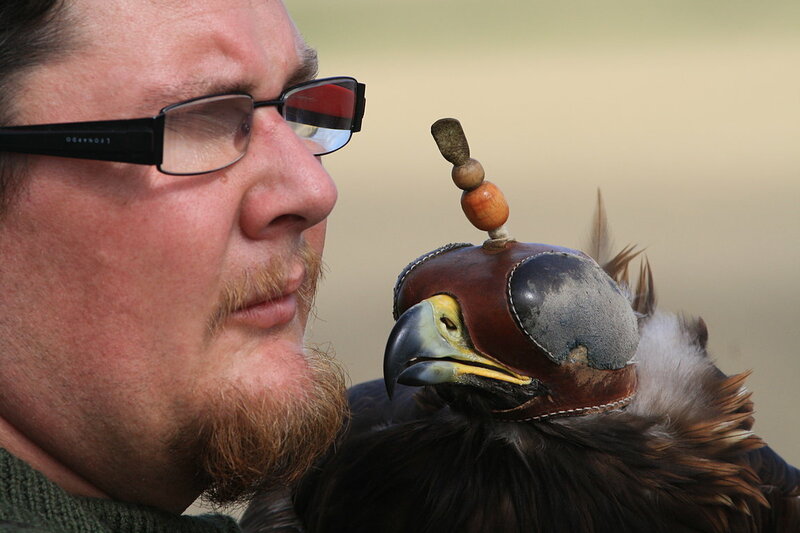 The history of falconry in the Czech lands dates back hundreds of years. Although its importance has often declined and then increased again, its spirit and romance have been preserved to this day. 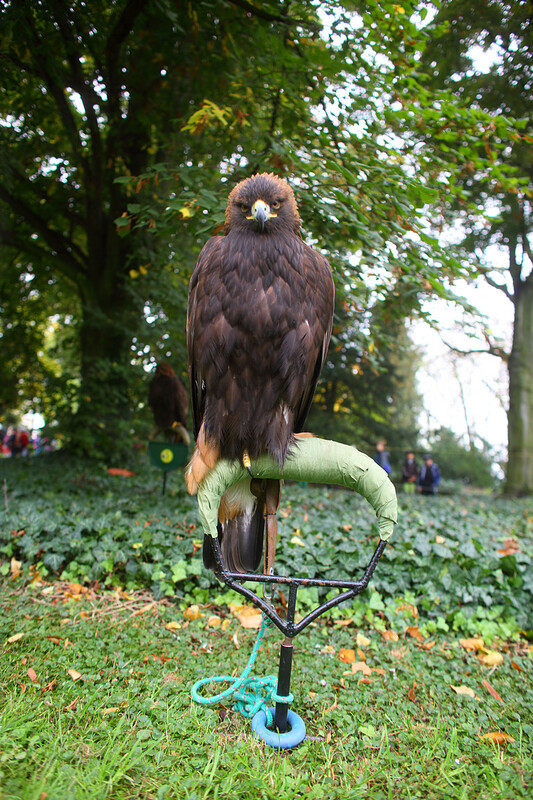 Often you will see demonstrations of falconry in the courtyards of Bohemian and Moravian castles and chateaux, such as Sychrov, Točník, Český Šternberk, Kost, Dobříš, Ohrada and Křivoklát. 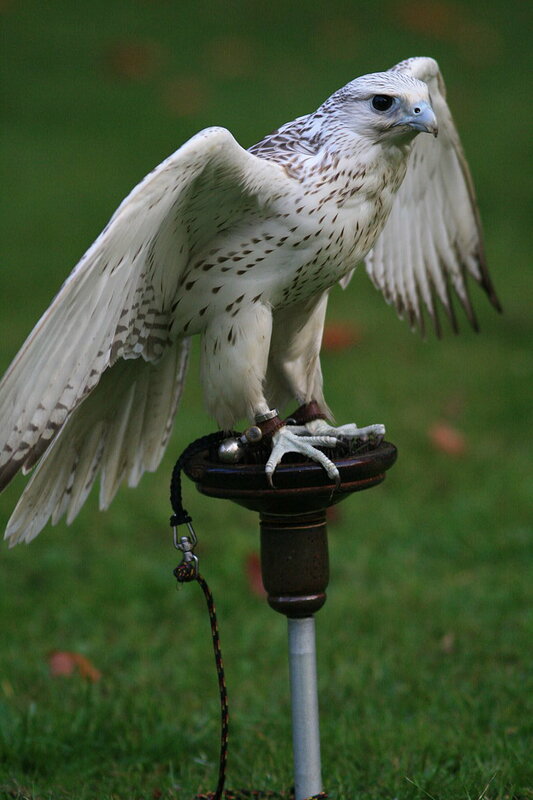 In the courtyards of one of these historical treasures you can witness the special bond between these majestic birds and their owners. 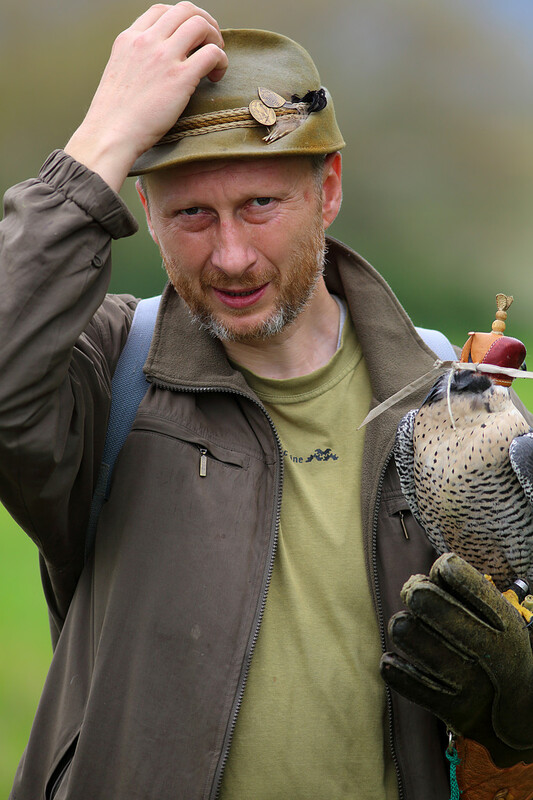 You will thus gain a fascinating insight into the struggle between falcon and prey in the captivating surroundings of one of the Czech Republic’s regal residences. 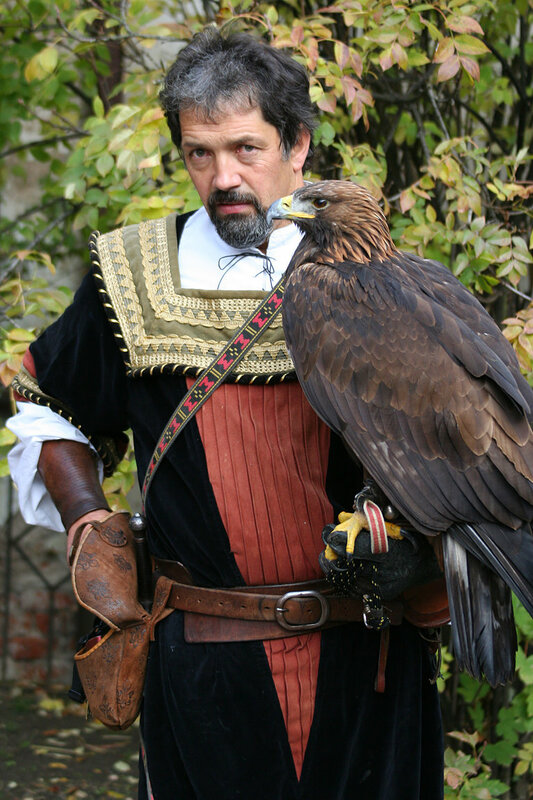 Hunting with birds of prey was an aristocracy affair and important feudal courts and religious orders were involved in rearing and training of birds of prey and founding of the first falconry schools. 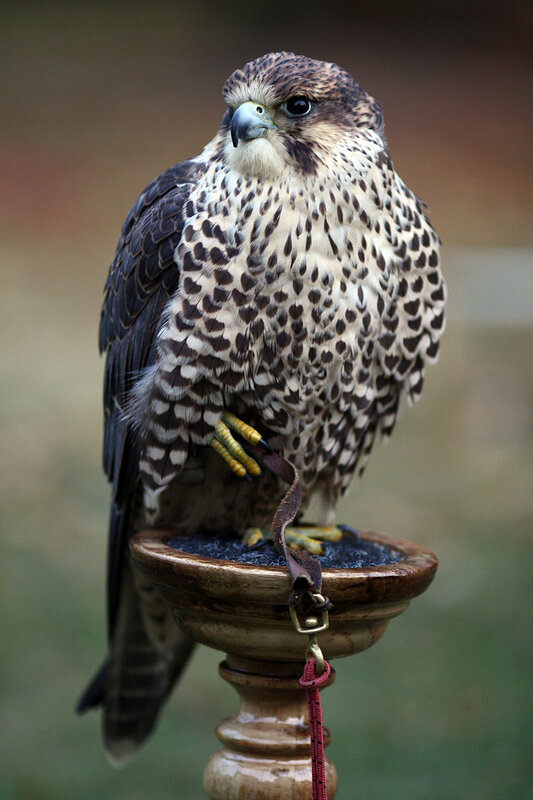 A trained falcon was considered to be a precious gift of a remarkable value and was often used for a diplomatic purpose. 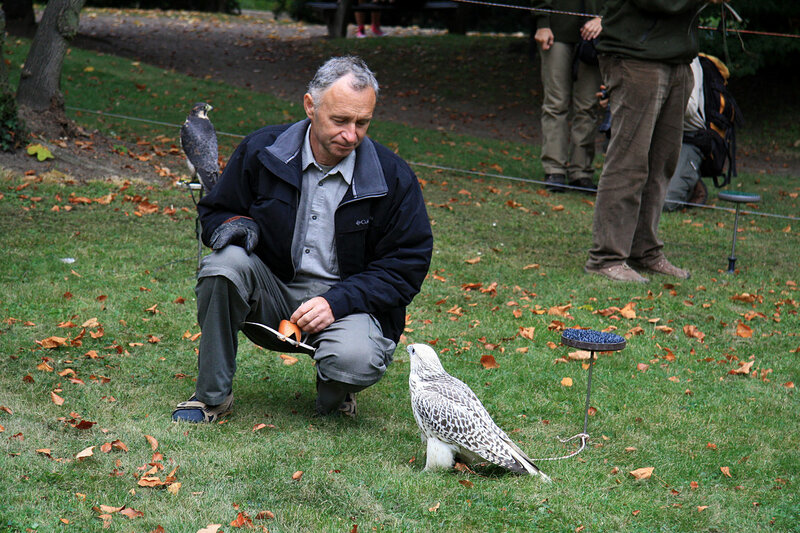 The Club of Falconers was established by the Czechoslovak hunting association in 1967, for the purpose of conservation of falconry traditions in the Czech lands as well as development of the rearing and training of birds of prey and hunting with them. 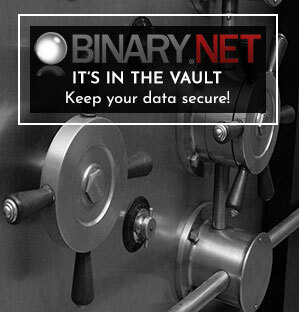 Nowadays the Club has approximately 400 members and consists of twenty centres. 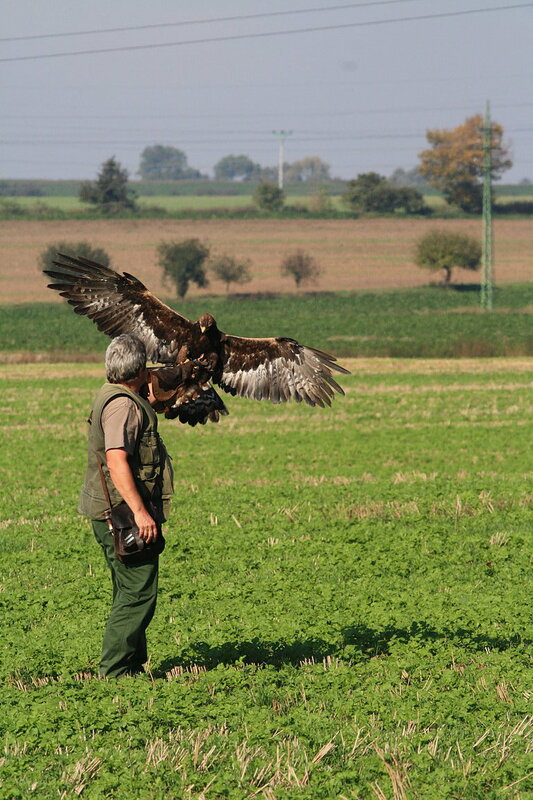 The membership requirements are: the age of 18 years and over, the Czech – Moravian hunting union membership and a successfully passed falconry examination. 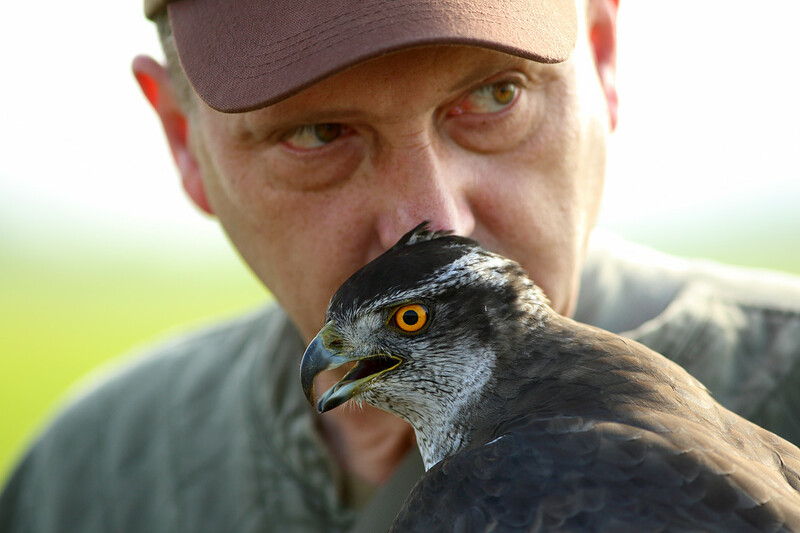 Adepts led by skilled falconers prepare for the examination in their future centres. 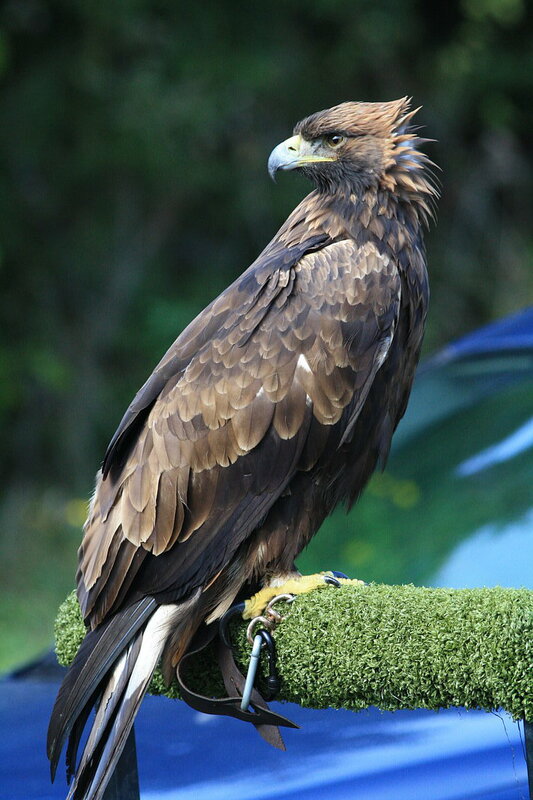 Using of birds of prey for falconry permits the state administration body for game management, their possession and rearing permit bodies for nature’s protection. 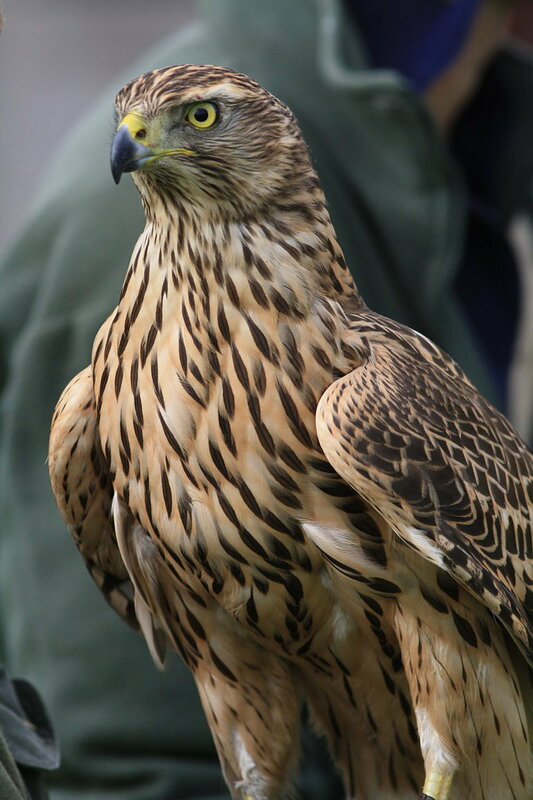 Birds most frequently used for falconry are: the goshawk (Accipiter gentiles), the peregrine falcon (Falco peregrinus), the saker falcon (Falco cherrug) and the golden eagle (Aquila chrysaëtos). 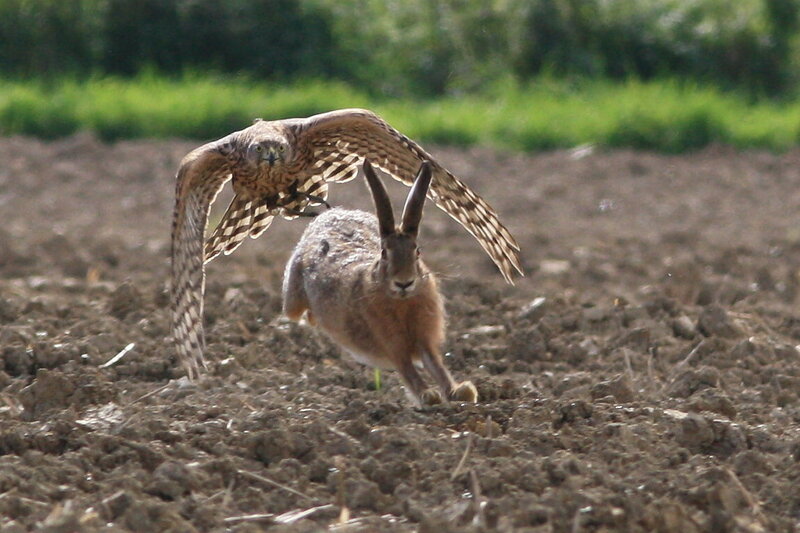 Pheasants, hares and fox are most frequently hunted with birds of prey. 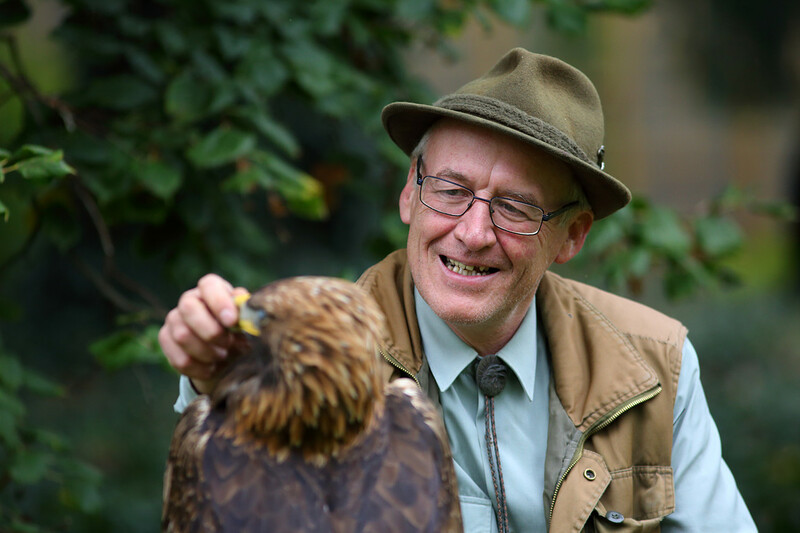 The Czech falconers use approximately 200 birds of prey for hunting and additional dozens of them serve for artificial rearing of chicks. 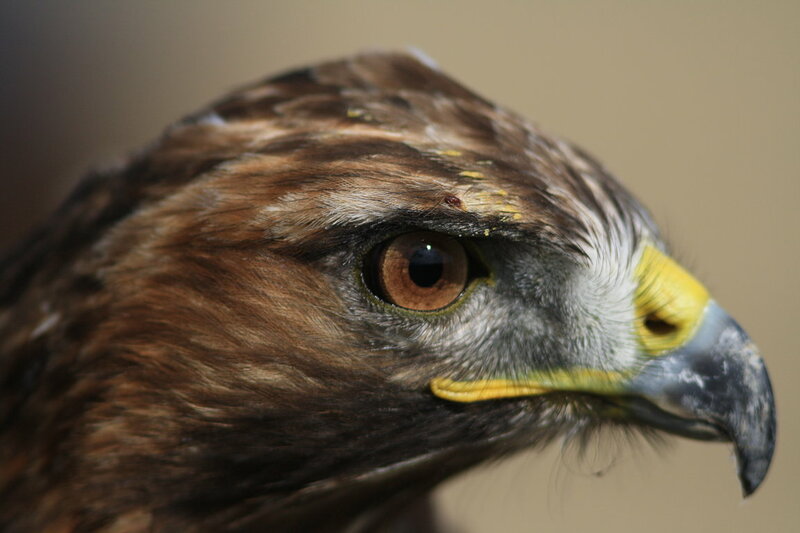 There are annually bred 350 young birds in this way and some of them are released into the countryside. 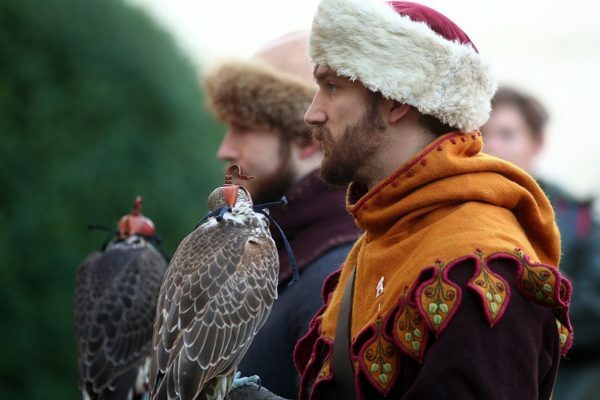 Many falconers breed other rare species of birds of prey, ranging from very small merlins to eagles and owls as well. 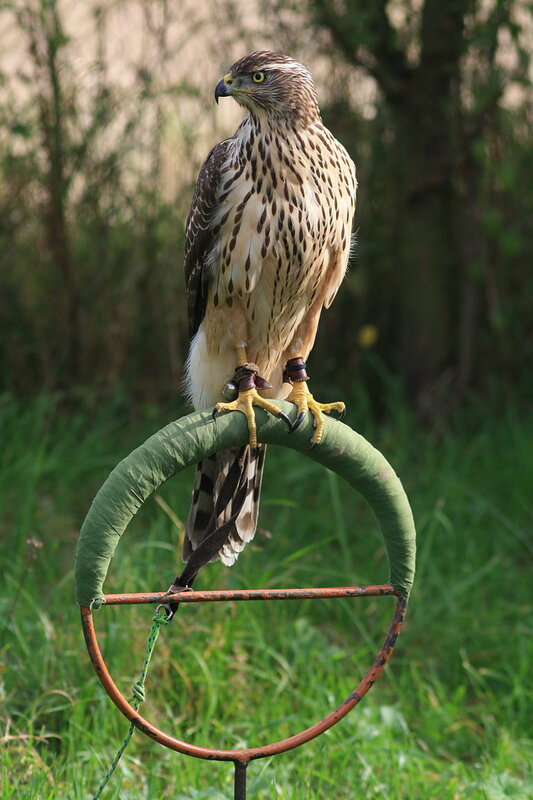 Apart from training of birds of prey and hunting with them, the falconers take part in conservation of birds of prey in the countryside, including the care of wounded or handicapped individuals. 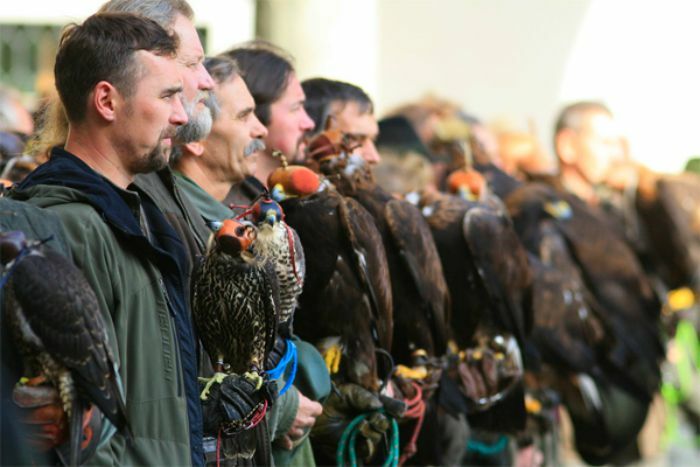 The most prestigious meeting of the Club is the annual international meeting in Opočno under the Orlické mountains, accompanied by common hunts. 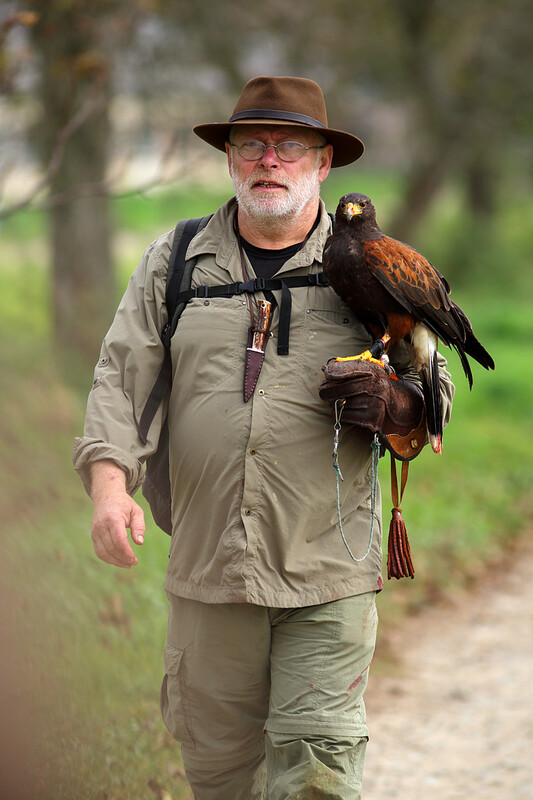 The Club of Falconers has been a member of the IAF (International Association for Falconry and Conservation of Birds of Prey) since 1991. 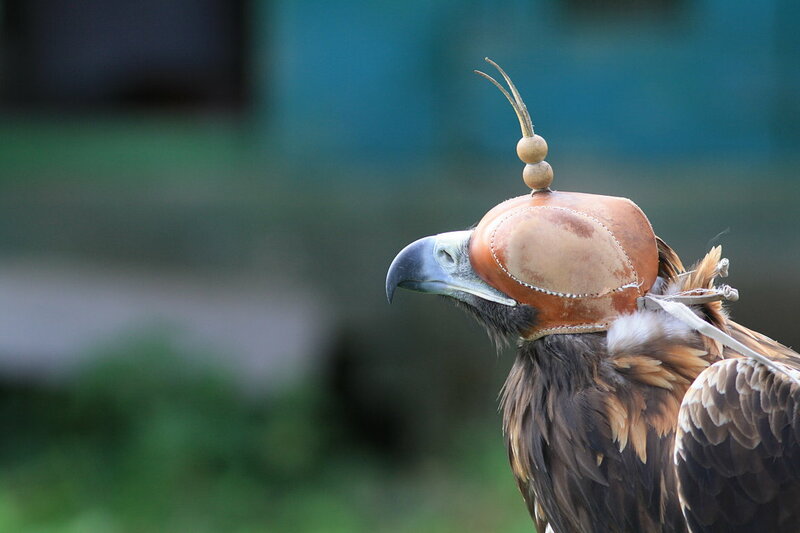 Falconry is one of the oldest relationships between man and predator, which has lasted for more than 4000 years and is the traditional activity of hunting using trained birds of prey in a natural environment. 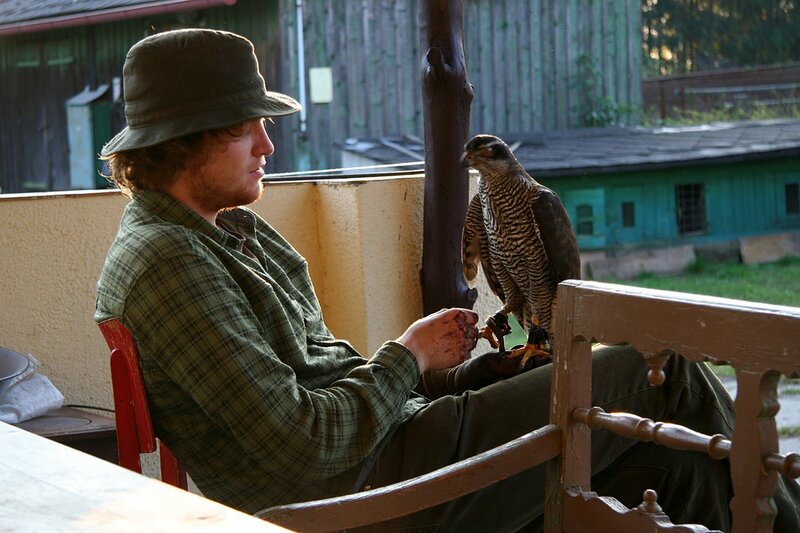 The falcon and its prey have evolved their existence together over millions of years. 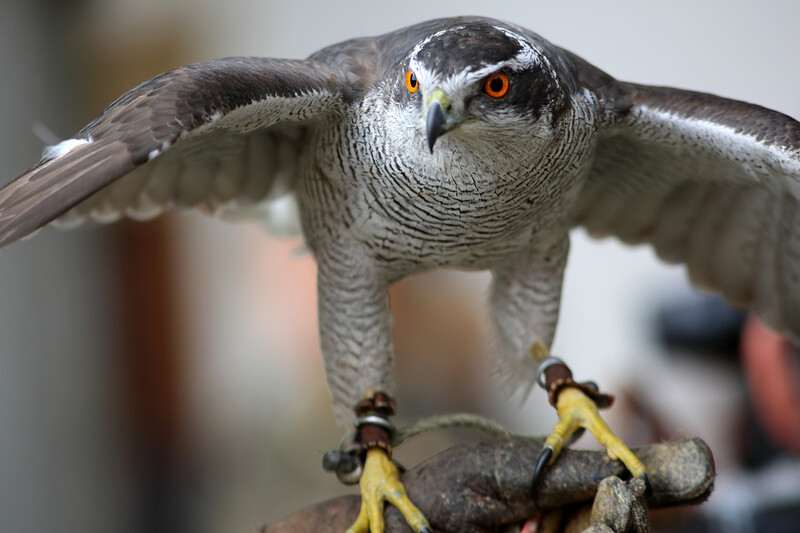 The falcon is adapted to hunting prey and prey has developed many ways of escaping. 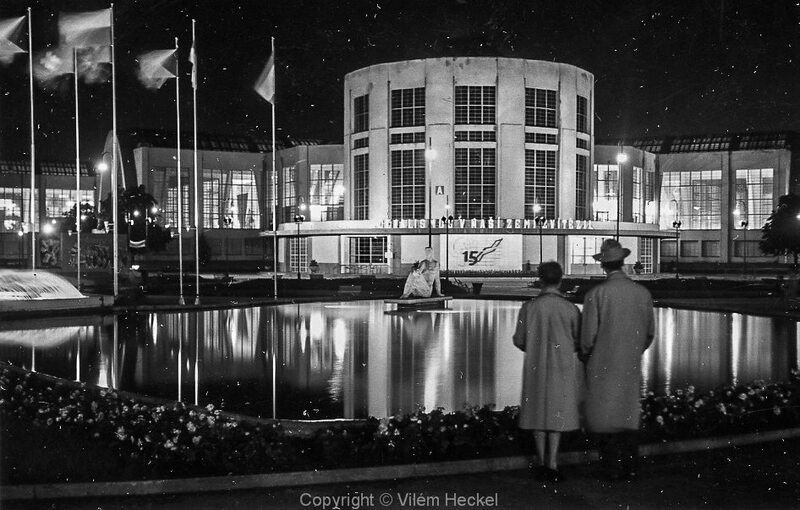 This leads to a fascinating view when these opposite interests battle with each other. 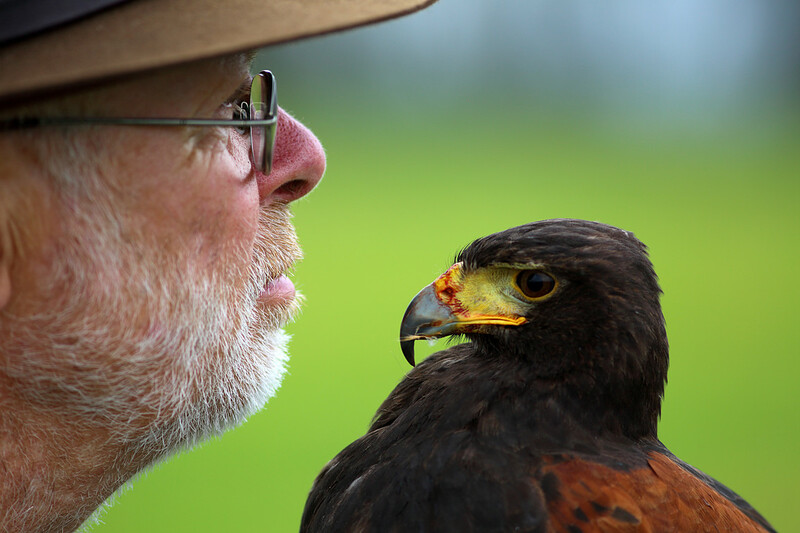 Falconry is considered to be a deeply empathic activity and falconers understand that their predators and hunted animals must be preserved for future centuries to come. 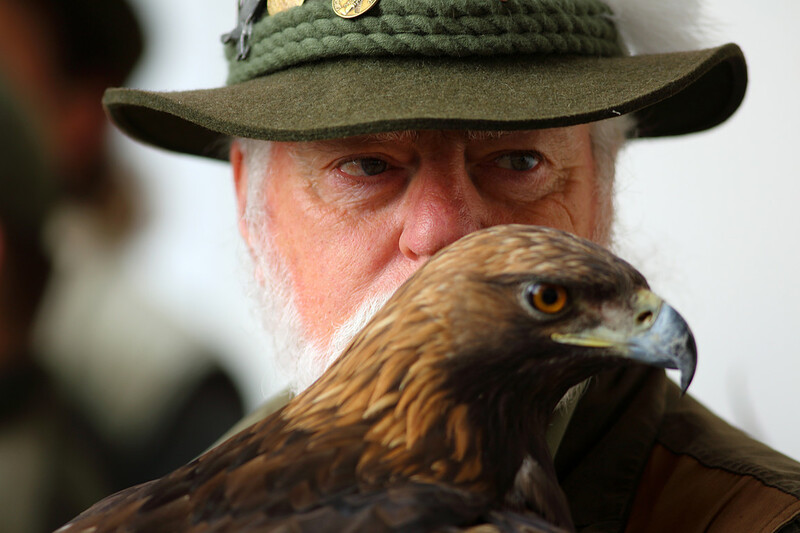 Modern day falconers are young and old, male and female and they are fiercely committed to their sport. 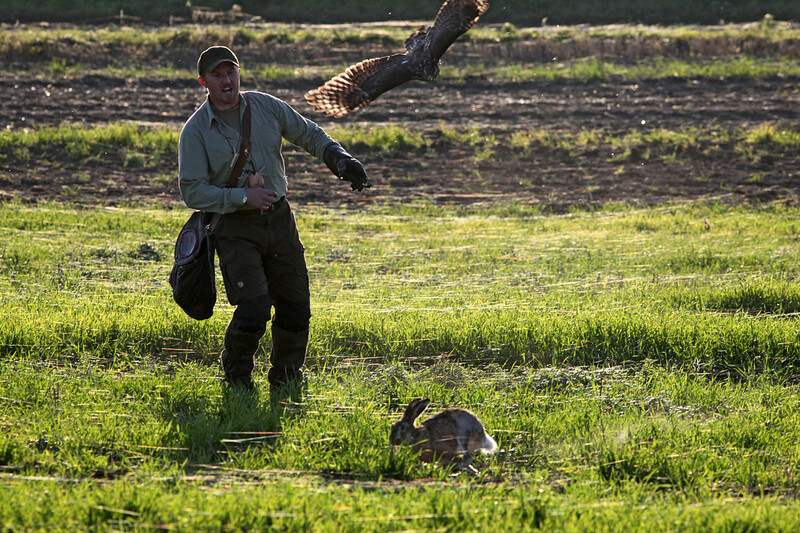 Their birds are trained carefully and are expected to perform well at the hunt. 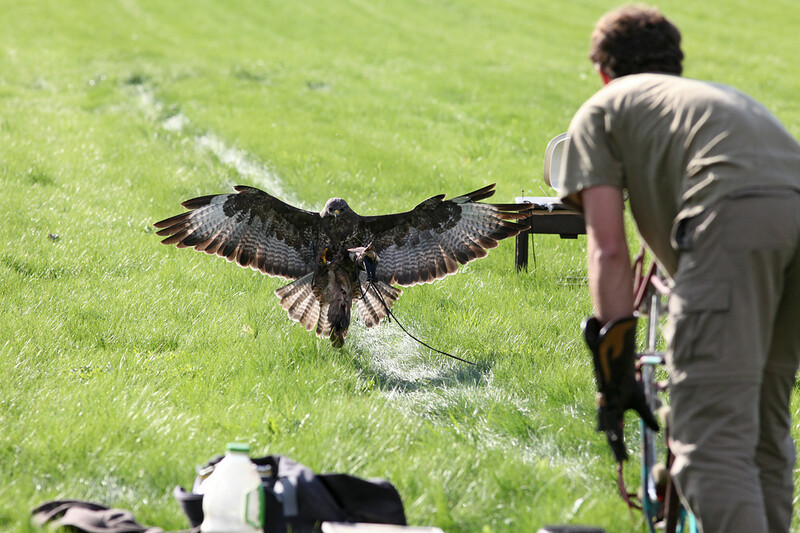 The International Falconry Meeting usually has around 75 participants from the Czech Republic, Slovakia, Austria, Germany, Poland, The Netherlands, The UK and Norway. 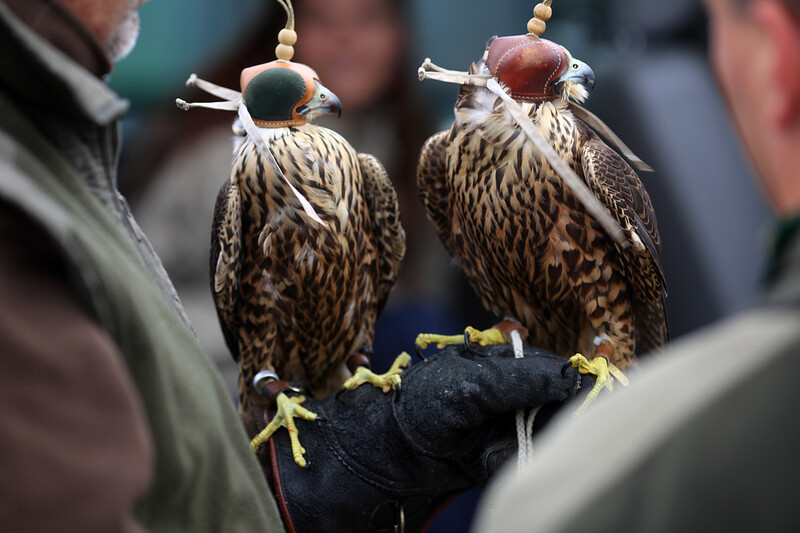 Participants usually bring approximately 60-75 birds to the event. 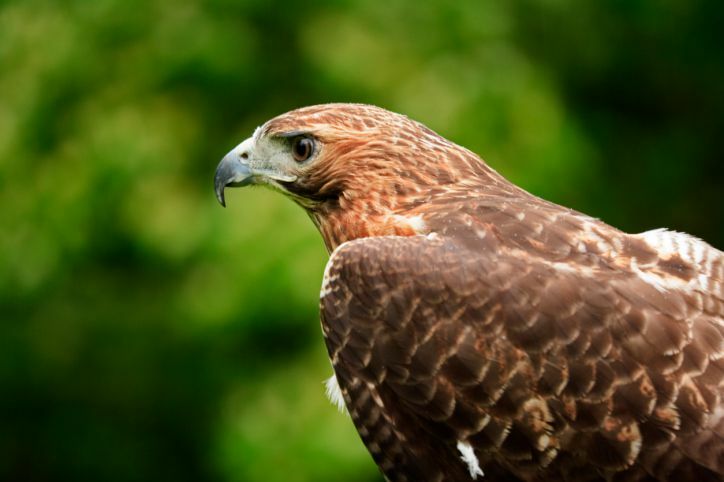 These include hawks, falcons and eagles. 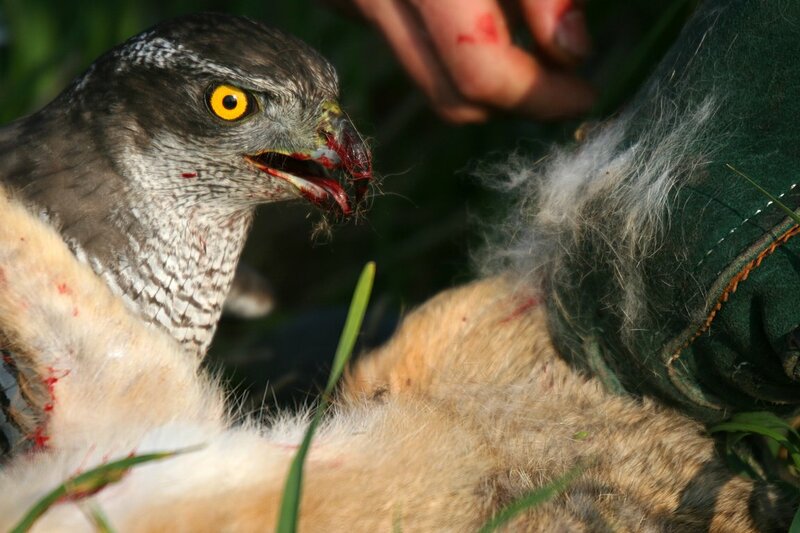 The eagles and hawks hunt for European hares, and the falcons hunt for pheasants. 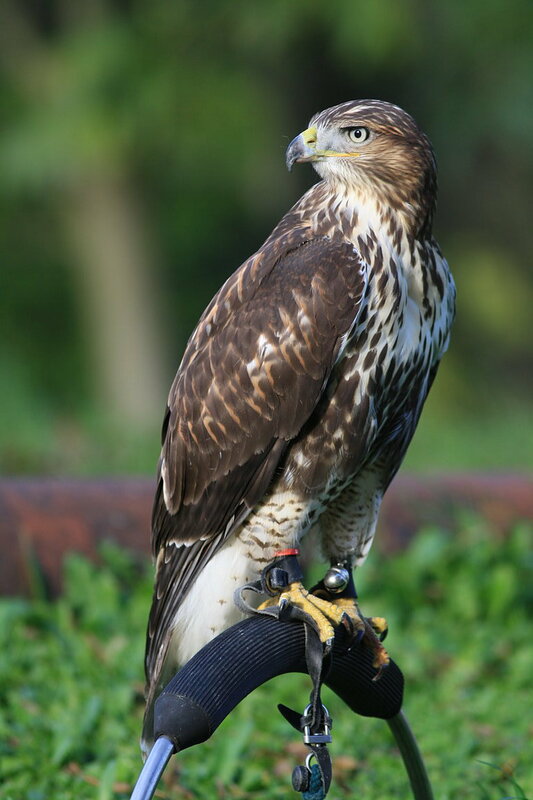 When the bird captures the game, it proudly sits on the prey and waits for the falconer. 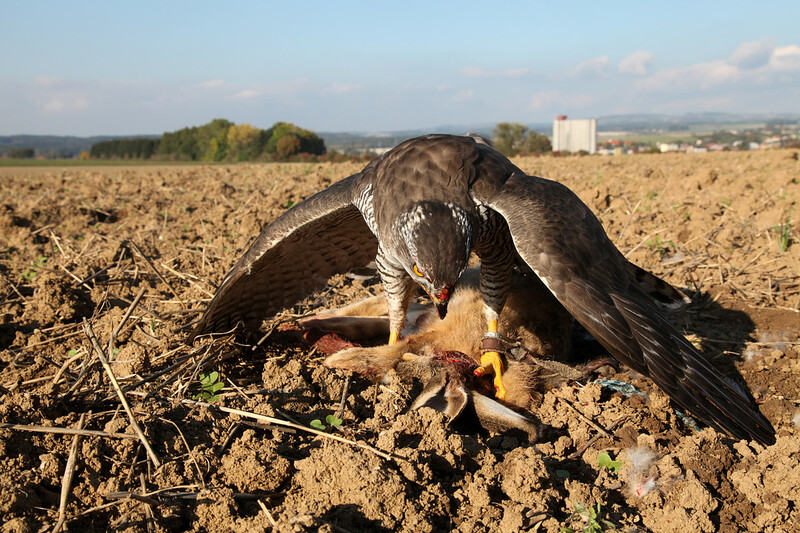 A bird’s biggest reward is when it can eat directly from the prey. This is a tradition and a part of the heritage that everyone is proud of. 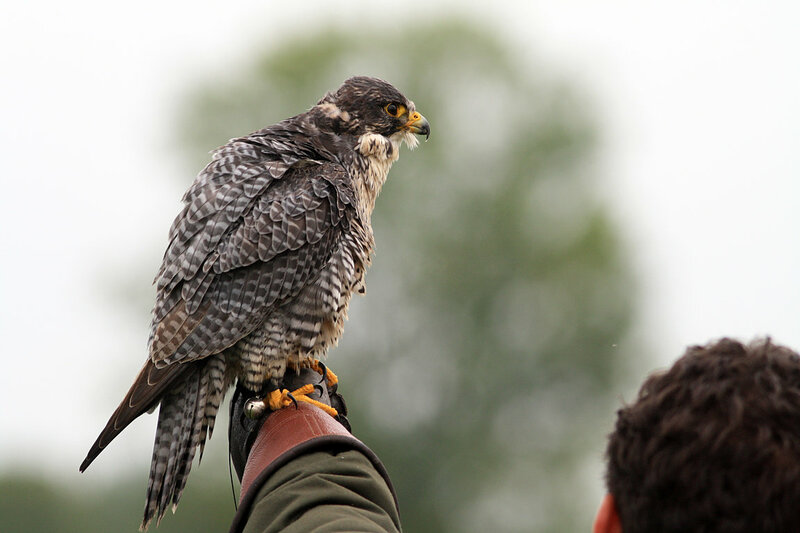 A falcon costs between €500 and €2,000 and weighs from 600 to 1,000 grams. Breeding is demanding, especially since one has to work extensively with the bird to train it. 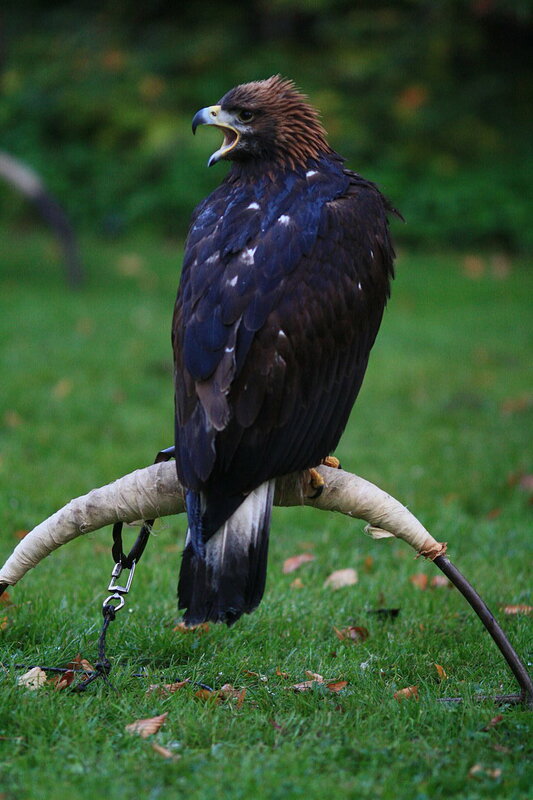 The practice of hunting with a conditioned falconry bird is sometimes also called “hawking” or “gamehawking”. 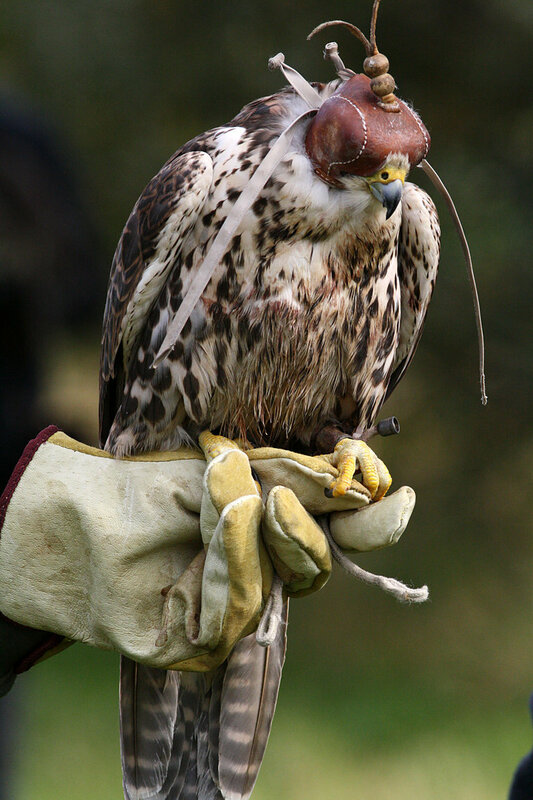 Throughout the 20th century, modern veterinary practices and the advent of radio telemetry (transmitters attached to free-flying birds) increased the average lifespan of falconry birds and allowed falconers to pursue quarry and styles of flight that had previously resulted in the loss of their hawk or falcon. 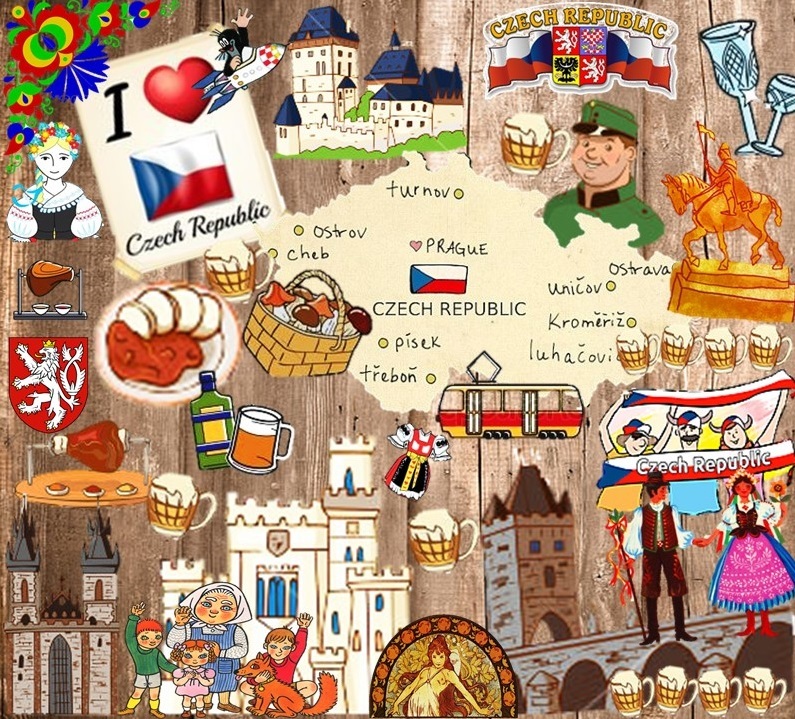 We love to and more so, we love that the Czechs are so enthusiastic about preserving something which seems so… noble. 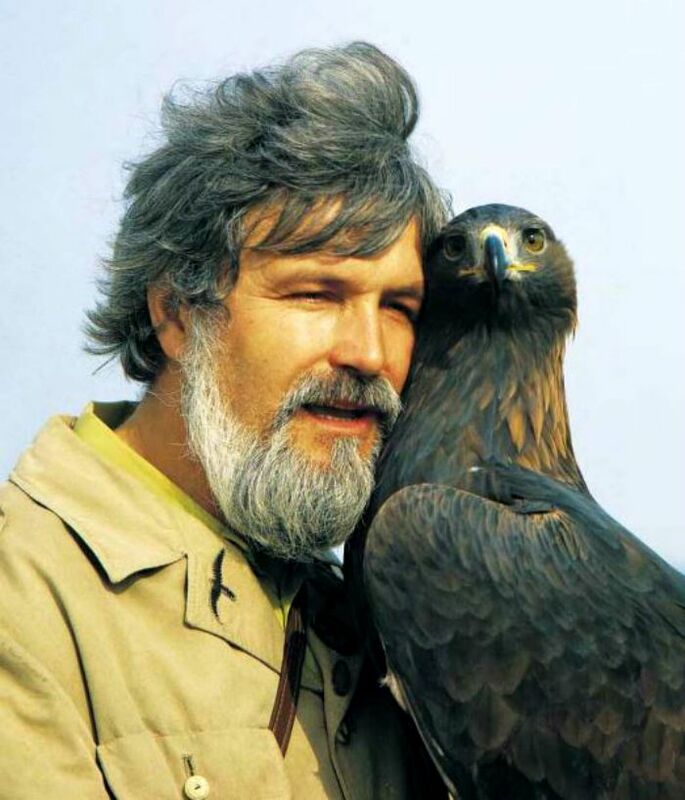 Besides, what’s sexier than a manly kind of man with a bird going on the hunt? 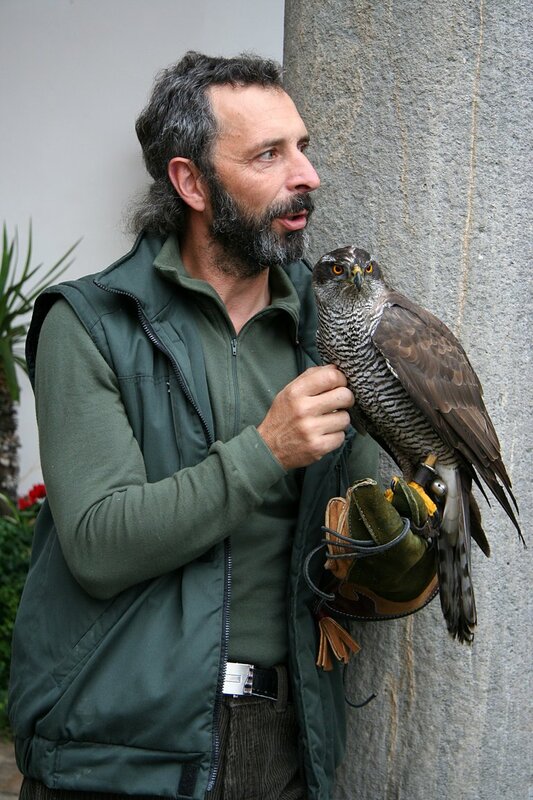 Side note: You may want to pick up a DVD copy of Král Sokolu (Thomas the Falconer or Thomas and the Falcon King). It is a 96-minute full length Czech film for children, filmed in 2000 at the Slovakian castle, hrad Krásna Hôrka. 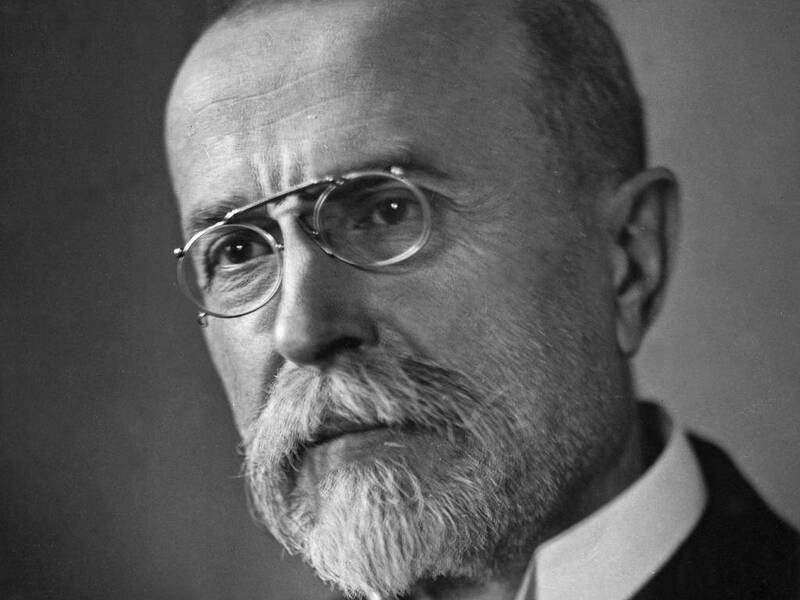 It is a historical co-production with fairy tale elements. 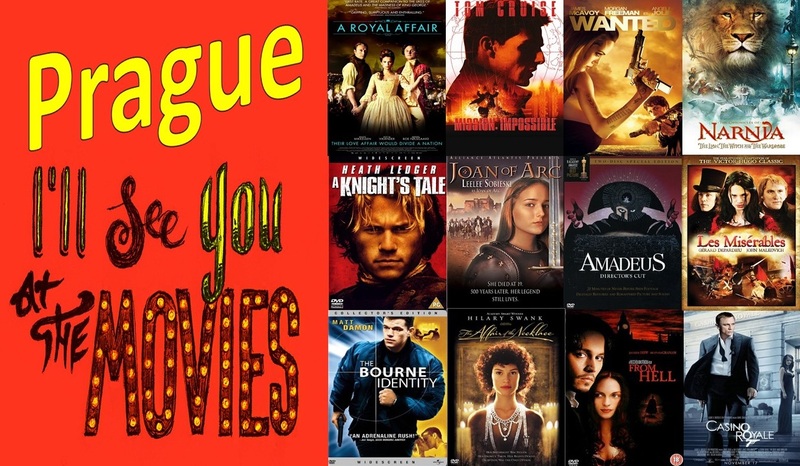 The movie concentrates on the main character, Tomás, a 14-year-old boy who lives beneath the castle of the powerful Lord Balador. 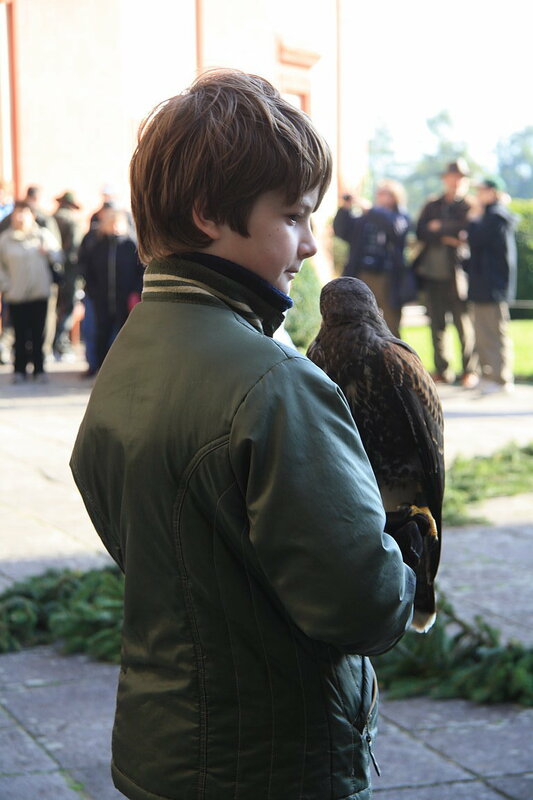 The boy is able to communicate with animals, and he tries to obtain the royal falcon – a symbol of freedom and faith. 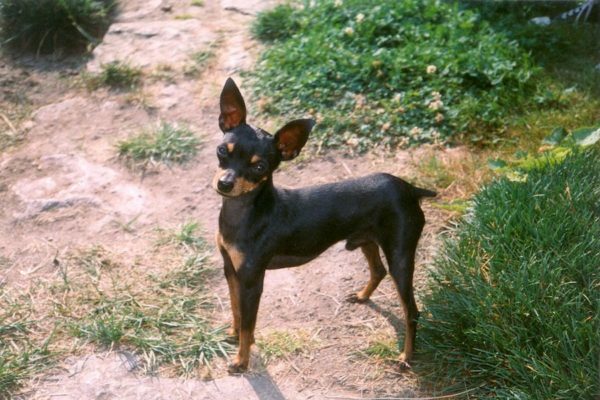 He also falls in love with Balador’s daughter Formina, a girl who is to be married off against her will. 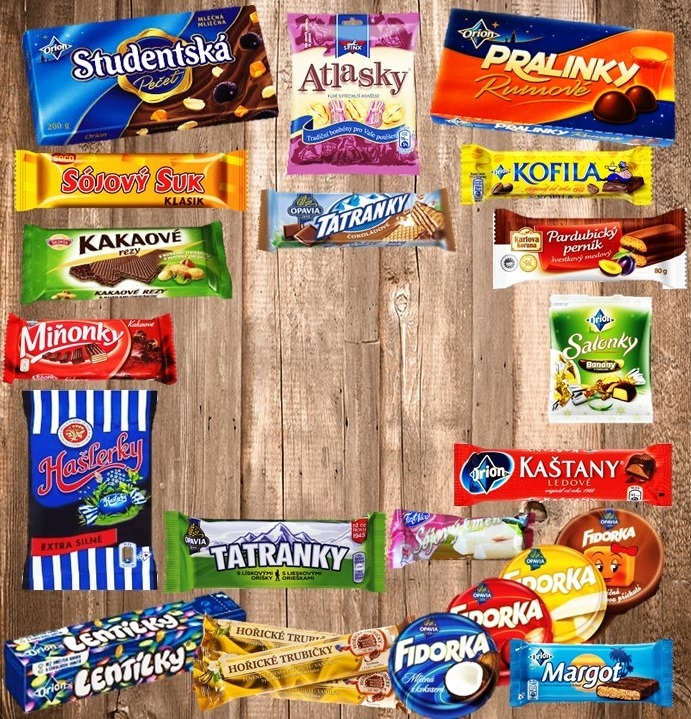 Sources: Game Management in the Czech Republic, Czech Tourism, Argophilia, Oook CZ.